You don't have to be a fighter pilot or an astronaut in training to benefit from simulation software. Photographers can now visualize everything from what effect different settings will produce to how a different lens will impact a photo. If you you're a visual learner, this is a convenient and easy way to understand what you can create by adjusting aperture, shutter speed and ISO. What does it really mean to shoot at f/2.8? Dial it in and "shoot" the photo. Your simulator shows you exactly what you would create. Is this shutter speed likely to create a blurry photo? Take the picture and see. 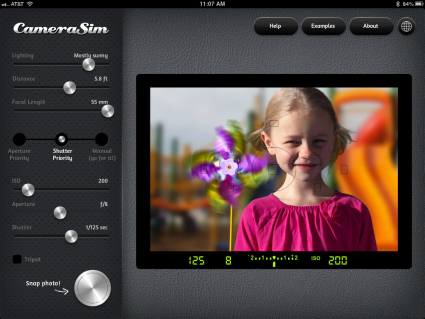 From your desktop or mobile device, you can experiment with a range of camera simulators. Here are a few worth considering. 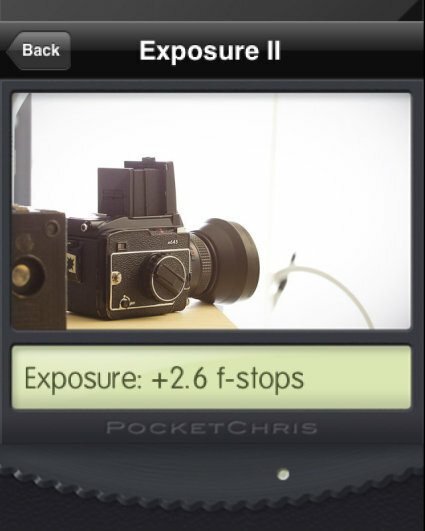 Camera Simulator is a great app for understanding the exposure triangle. 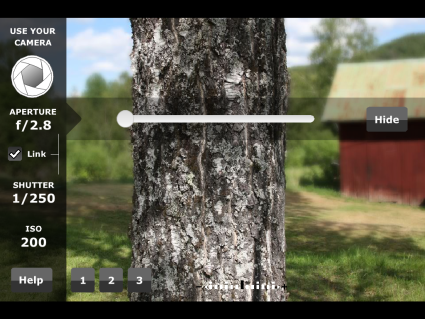 You can dial in different combinations of your aperture, shutter Speed, and ISO. The app shows you the changes in real time. It uses just three scenes, but they are enough to understand what you are creating at a glance. 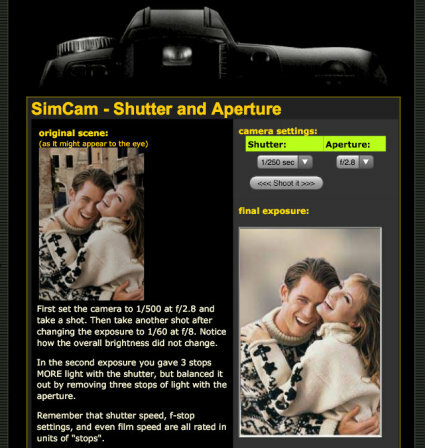 For instance, here is the difference between f/2.8 and f/32. This is how depth of field works, of course. Water is a great subject for understanding the effects of shutter speed. 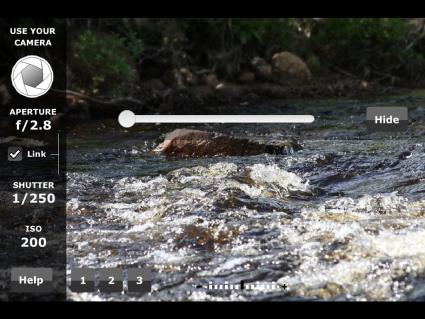 Here is the stream at 1/2 second and 1/250th of second. 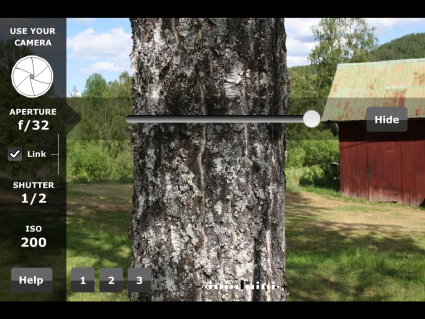 CameraSim lets you go through the process of actually taking a photo and seeing the results. 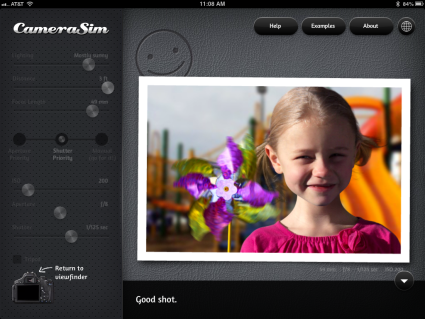 It simulates the photo using factors like lighting, distance, focal length, and exposure triangle. You might notice that when you are looking through your viewfinder on most DSLRs, you don't see changes as you choose different settings. CameraSim operates the same way. You will make your decisions, but the viewfinder doesn't show your adjustments. After you click on Take Photo, you see what you have created. The app also pops up with suggestions on how you might improve the photo. Do you wonder how zooming in and using a telephoto lens will affect your background? Just one of the many situations you can create with CameraSim. 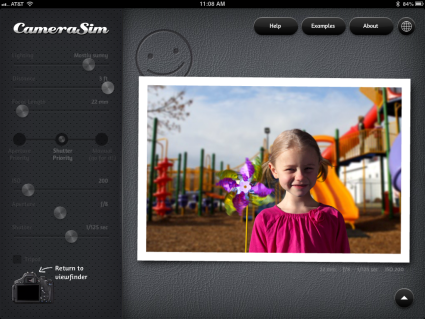 SimCam is an online tool that uses drop-down menus to simulate the relationship between shutter speed and aperture. 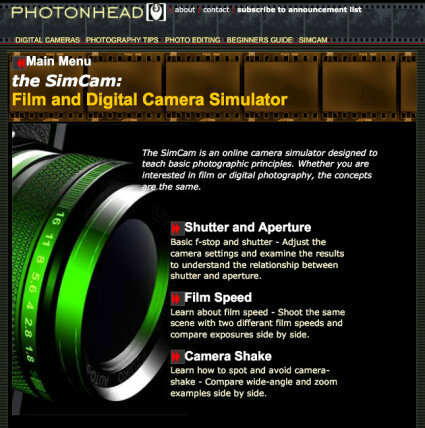 It also simulates when you create camera shake. On the left, you see the image as it would appear to the eye. 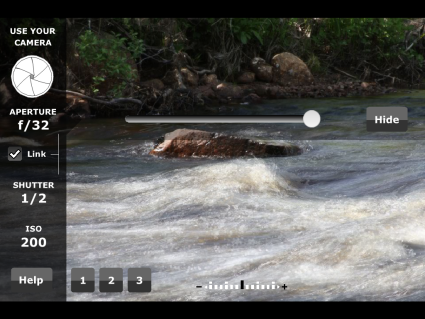 Enter your choice of shutter speed and aperture, click the Shoot it button, and see what the final exposure will look like. 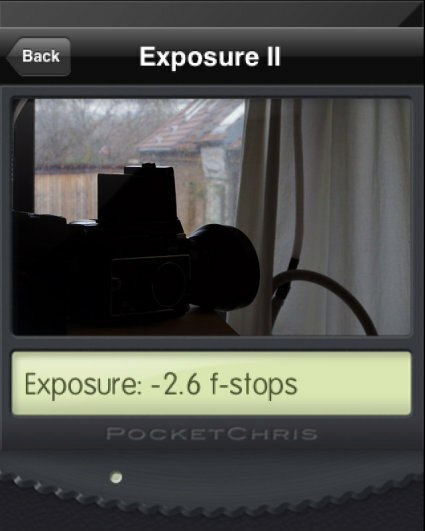 PocketChris is a series of apps that are the brain child of one of my favorite photography podcasters, Chris Marquardt. 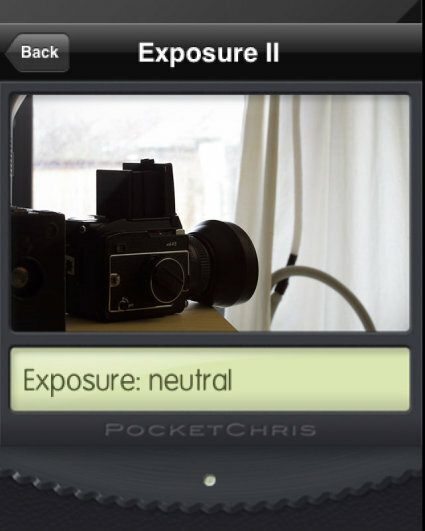 PocketChris apps show the effects of a wide range of decisions, with accompanying tutorials. How does exposure compensation affect your photo? Here is a photo with a wide dynamic range. Dial in +2.6 and brighten the image enough to see detail in the shadow areas. Dial in -2.6 and darken the image enough to see detail in the highlights. 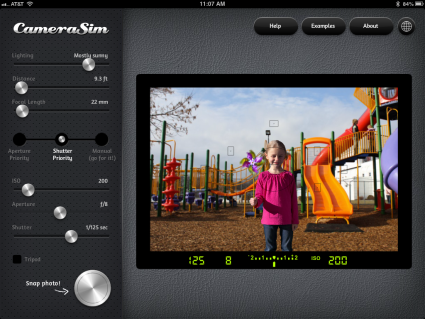 Of course there is no real substitute for actually picking up a camera and experimenting in the real world, but if you can't get out there, any of these apps are great stand ins.